It is a perfume nectar that glides over the skin; onto the wrists, inside the elbows, behind the knees, the base and nape of the neck, and the pulse points. An object of beauty and well-being, you can take it with you everywhere you go, thanks to its environmentally-friendly and ultra-lightweight packaging. It will fragrance and take care of your skin in one fluid movement. Olfactory family: An addictive spicy oriental. Heart notes: raspberry leaf, blackcurrant, rose, violet. Base notes: cinnamon, cedarwood, sandalwood. "The fragrance of hazy moments. The nose pressed to her skin, just a wave, breaking gently." 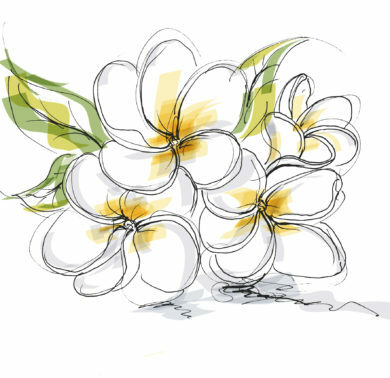 Hydrating and softening, Tiara oil is extracted from Tahiti’s iconic flower. The light and gentle formula is ideal for rehydrating and soothing the skin. This cosmetic base has a light orange color. 0 % Alcohol - 0 % Paraben - 0 % Paraffin. Product not tested on animals. 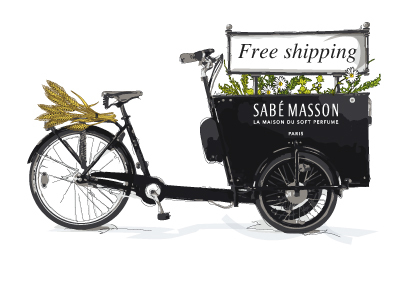 The ritual of perfuming at Sabé Masson is also to dare mixing and combining fragrances.